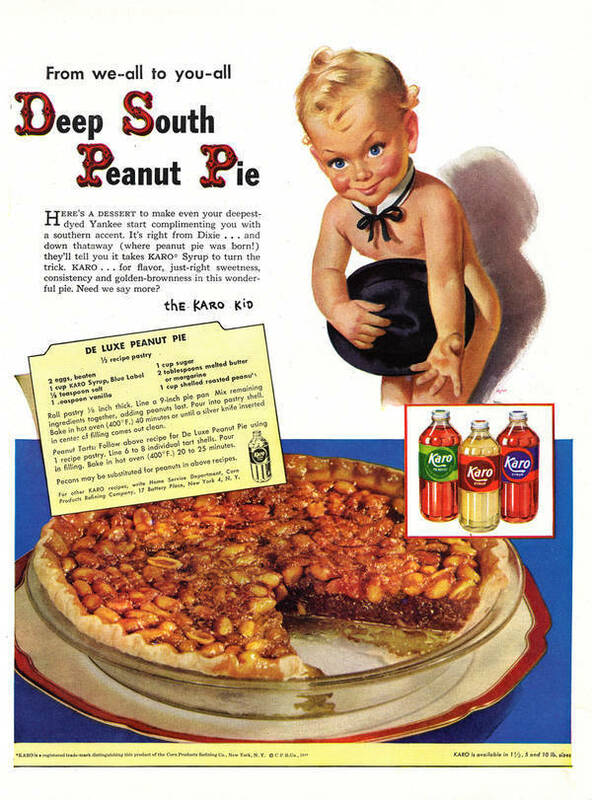 I stumbled across the vintage deep south peanut pie recipe/advertisement for Karo syrup on boing boing, and it was too creepy not to post. "Here's a dessert to make even your deepest-dyed Yankee start complimenting you with a Southern accent. It's right from Dixie... and down thataway (where peanut pie was born!)..."